SSCOR offers you superior, easy to use, durable products. What if we could also help ensure that your device will perform to specifications? 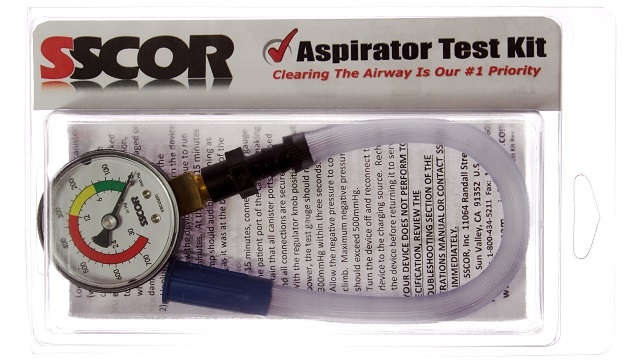 Introducing the Aspirator Test Kit! Interested? Fill out the form at right to get your free aspirator test kit.